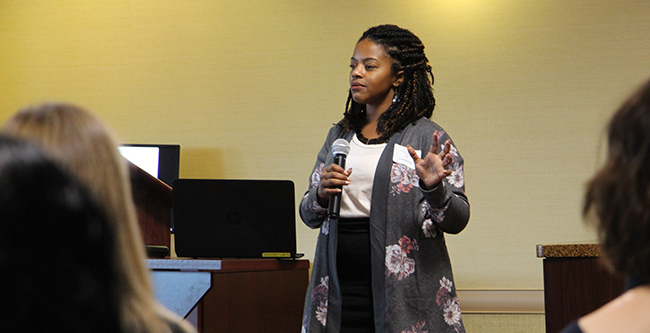 NASHVILLE, Tenn. A packed room with almost 100 attendees at Saint Thomas Hospital West listened as Raisha Montgomery recalled a home visit with a single mother and her asthmatic son. As a Community Health Educator for the Methodist Le Bonheur Community Outreach Division in Memphis, Montgomery was accustomed to working well away from the spotlight. Yet, the statewide forum’s sole purpose was shining a light on the efforts of Community Health Workers (CHWs) like her. Siloam Health Community Outreach Director Amy Richardson moderates a Panel Discussion with Community Health Workers Hannah Rai, Deanna Chrestman, Sarah Keel and Raisha Montgomery. 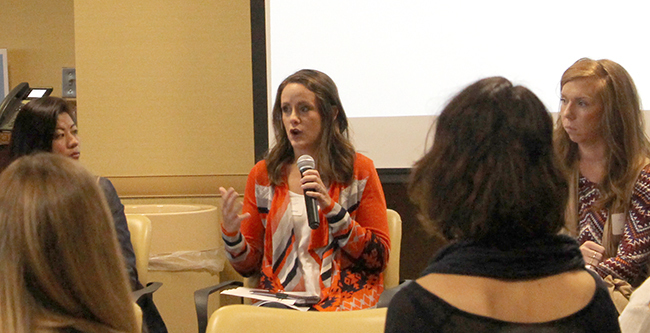 The forum, hosted by the Community Health Worker Collaborative, was the first of its kind. 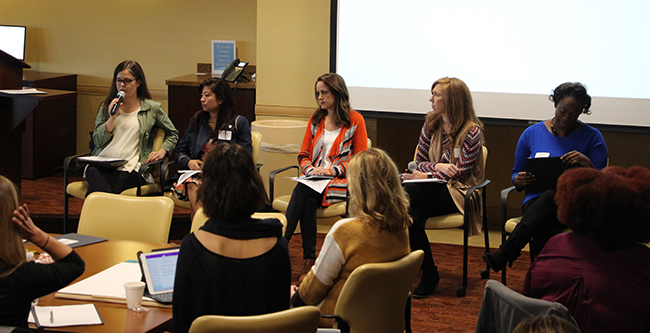 It brought together CHWs from around the state to share insight about CHWs in Tennessee. Define the role, benefit and impact of CHWs. Foster the growth of the TN Community Health Worker Collaborative. Establish a setting for CHWs to learn, share and network. Planning Committee members organizing the event included representatives from Clinton Associates Public Health Consulting, Le Bonheur Children’s Hospital, the Meharry-Vanderbilt Alliance, the Nashville/Davidson County Metro Public Health Department, the National Alliance on Mental Illness (NAMI) of Tennessee, Siloam Health, the Tennessee Department of Health, the Tennessee Primary Care Association (TCPA), Vanderbilt University Medical Center and the YMCA of Middle Tennessee. D'Yuanna Allen-Robb of the Metro Public Health Department also emceed the event. Deanna Chrestman, a Home Visitor from Prevent Child Abuse Tennessee, discusses the process of building relationships and trust. Montgomery sat alongside Deanna Chrestman, Sarah Keel and Hannah Rai. All four serve in local organizations from across Tennessee. That, she said, was on of her biggest successes. During the discussion, the four CHWs also mentioned ongoing challenges. Keel, of the Metro Drug Coalition described difficulties educating misinformed community leaders about the issues and crises facing their communities, while working with faith leaders in East Tennessee as a Faith-Based Community Coordinator. Barbara Clinton, from Clinton Associates Public Health Consulting, leads a radionovela portraying who Community Health Workers are. The radionovela, titled “Who, What, Why Community Health Workers,” expounded on who CHWs are, the type of services they provide and how they make an impact in the health care system. Jacquelyn Favours, of the Meharry-Vanderbilt Alliance, presents a National Scan of Community Health Worker State Associations and the Tennessee Community Health Worker Survey. The survey findings indicated funding mechanisms, common job titles, and the various services offered by CHWs in TN. The survey also indicated a need for more education and advocacy for the CHW profession in TN. 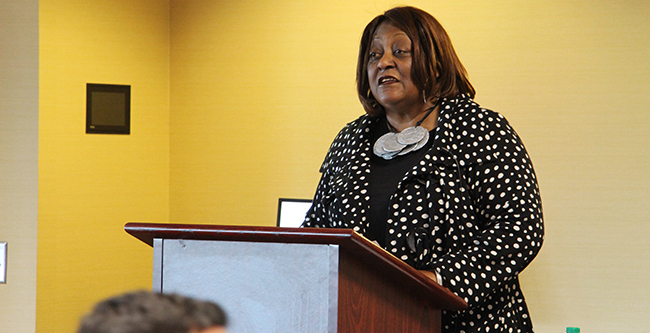 Naomi Cottoms, founding Executive Director for the Tri County Health Network of Arkansas, served as Keynote Speaker for the event. She urged everyone to engage the community, the legislature and physicians throughout the state. 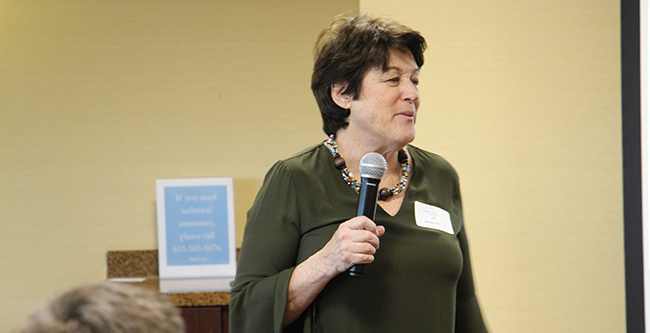 In order to impact CHW advocacy, she said they needed to meet with as many community advocates and agencies as possible and ensure that everyone has input. Ashley Bachelder speaks on behalf of her table. What work do CHWs in Tennessee do that’s most impactful? What do CHWs in Tennessee most need to be effective? What might a coalition of CHWs in Tennessee work on? 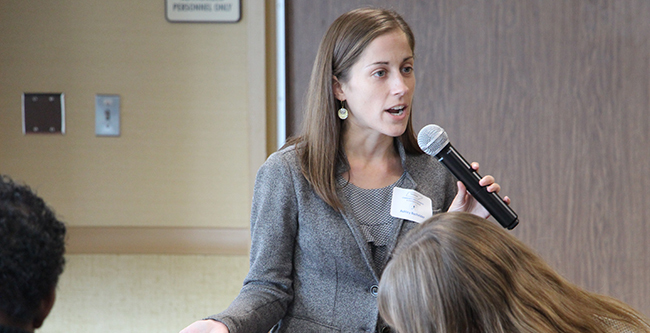 What resources can be leveraged in order to advance the work of CHWs in Tennessee? A common consensus was that CHWs’ biggest impact revolved around connections. They have a unique capability to meet patients and their families on their own level, and they can better connect those patients with valuable resources and information. To be more effective, many believed CHWs needed more funding. Likewise, they thought CHWs could benefit from comprehensive resource guides and other information in order to better serve patients. An organized coalition or association, many said, would allow for greater advocacy, recognition and networking. To advance CHWs and the prospect of a state coalition, they suggested pointing to successes in other states, providing education about CHWs and their role in health care.